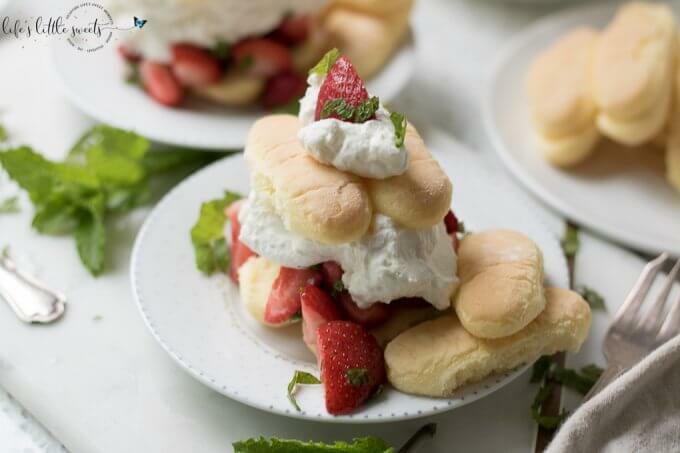 Strawberry Mint Shortcake with Ladyfingers is a no-bake, easy to assemble, strawberry shortcake recipe with macerated fresh mint and strawberries, homemade vanilla whipped cream and ladyfinger sponge cakes. 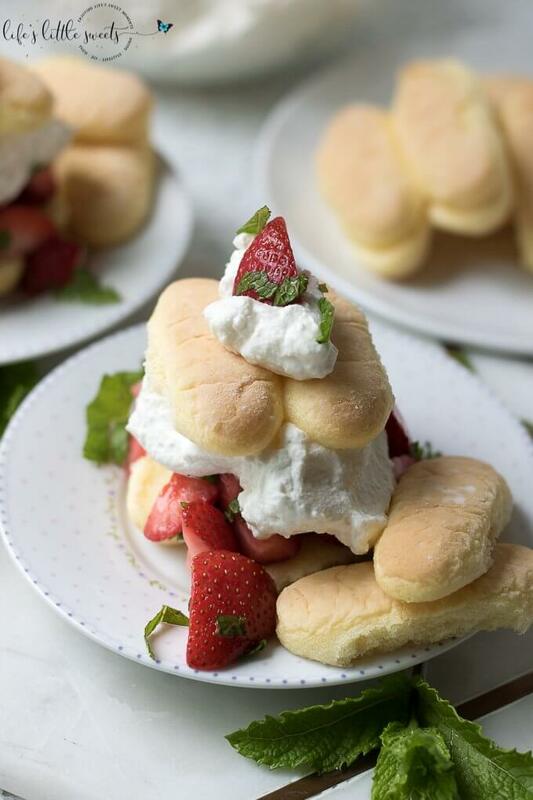 I’ve been wanting to do a strawberry shortcake recipe on the blog in forever, especially, with the strawberry season that just happened but we recently got hit with a heat wave and I was thinking, there has got to be a better way. 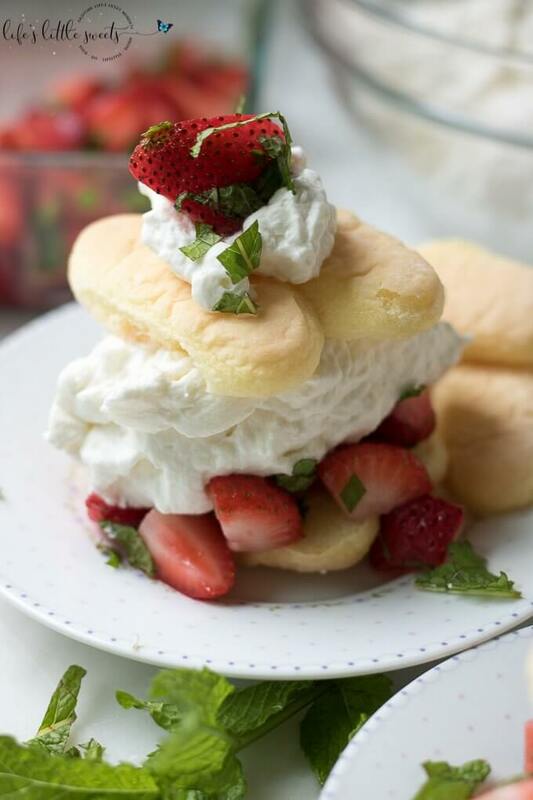 I had tons of store bought ladyfingers and whipping cream from a recent tiramisu recipe, tons of fresh mint from my garden and plenty of strawberries from around the 4th of July and that’s when the inspiration came to make this recipe. 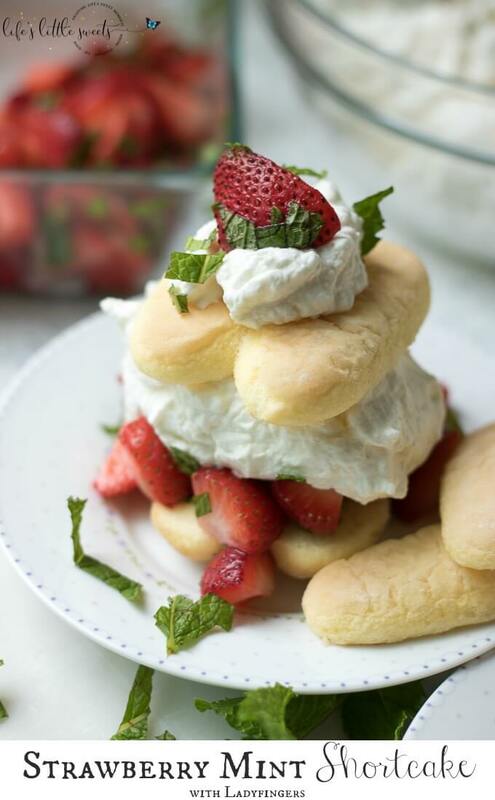 Time and the refrigerator do all the work of macerating the strawberries. 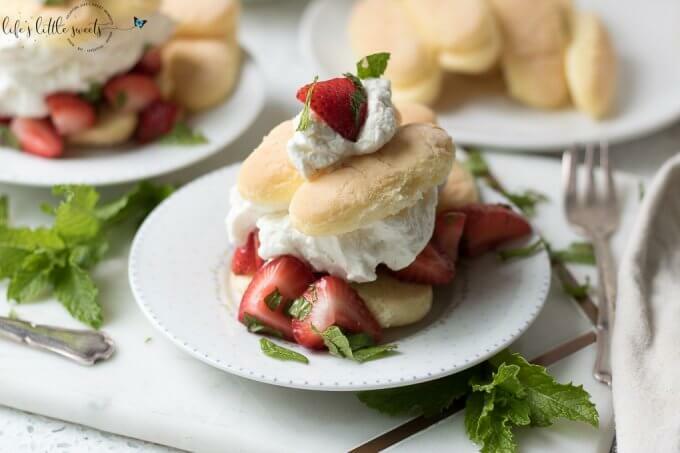 You can swap out the granulated white sugar for the same amount coconut or raw sugar for a more natural sugar or even use maple syrup and/or honey. 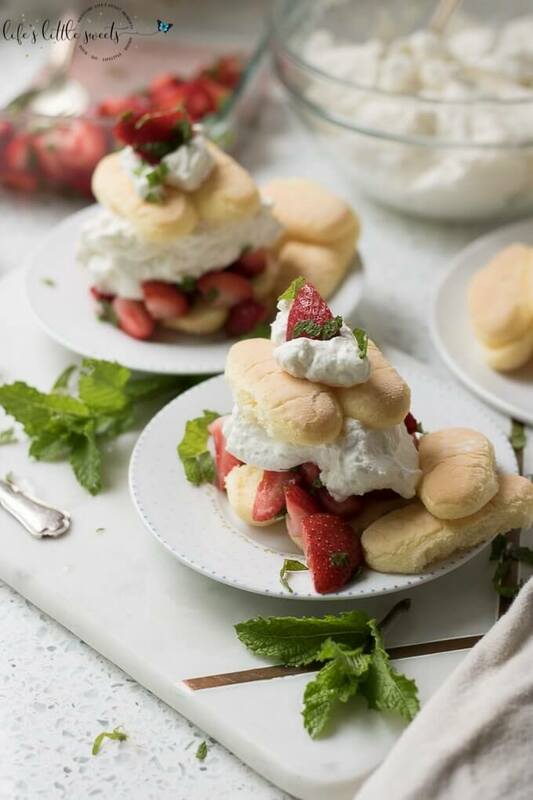 Mint and strawberries go so well together and especially with the hot weather, it makes this dessert take a refreshing turn. 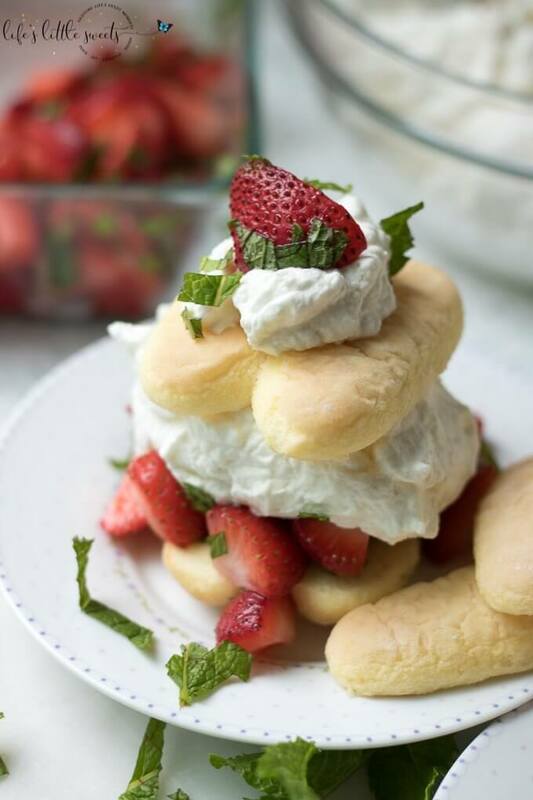 I’ll take my strawberries minted now, thank you very much! 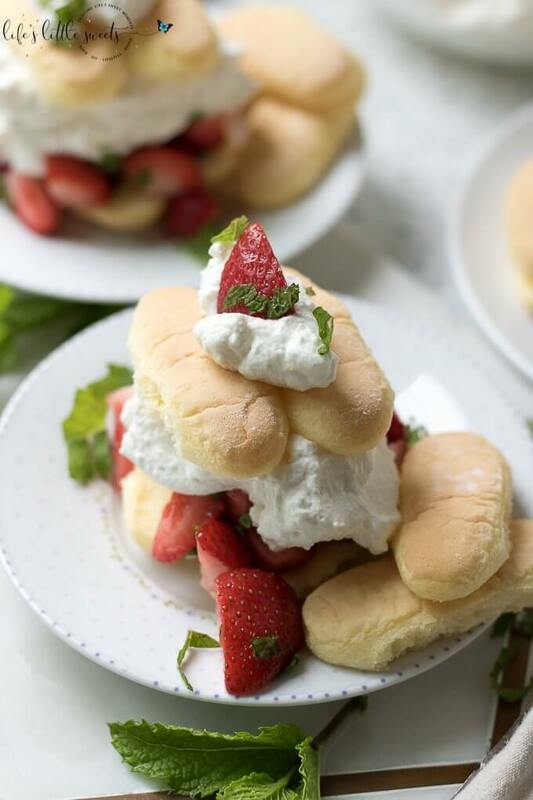 Strawberry season (for us in NJ) is as early as May 20th, lasts from June 1st to June 10th and as late as June 25th. 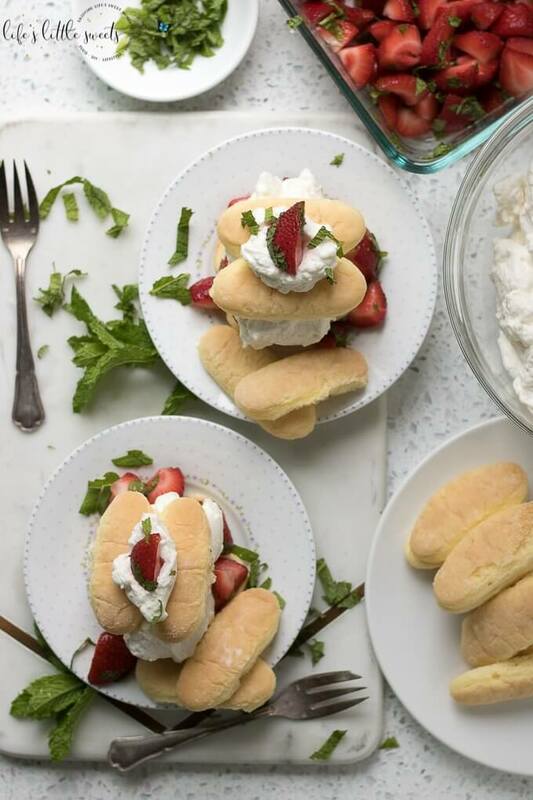 You can find ladyfingers in the bakery section of your grocery store. 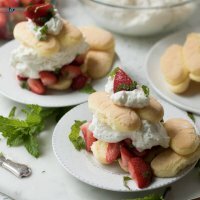 Check the date to make sure they are fresh. 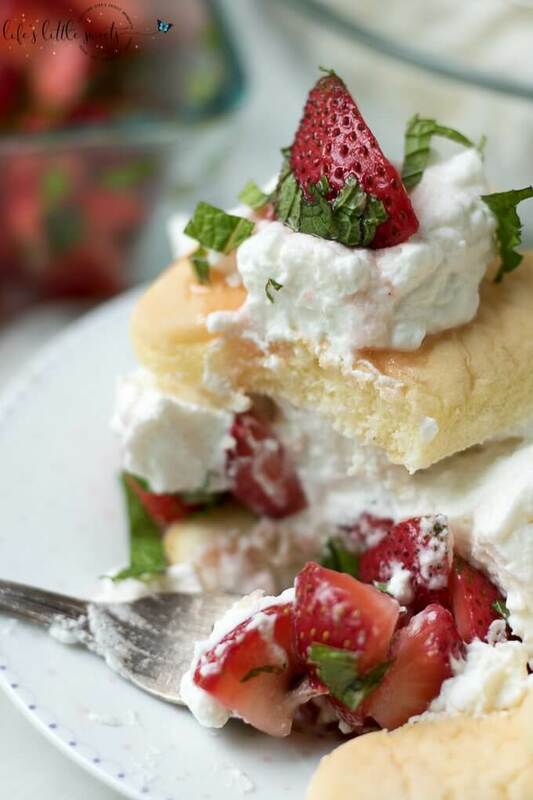 If you like this Strawberry Mint Shortcake with Ladyfingers, check out Mixed Summer Berry Trifle, Chia Pudding, and our other Strawberry recipes. 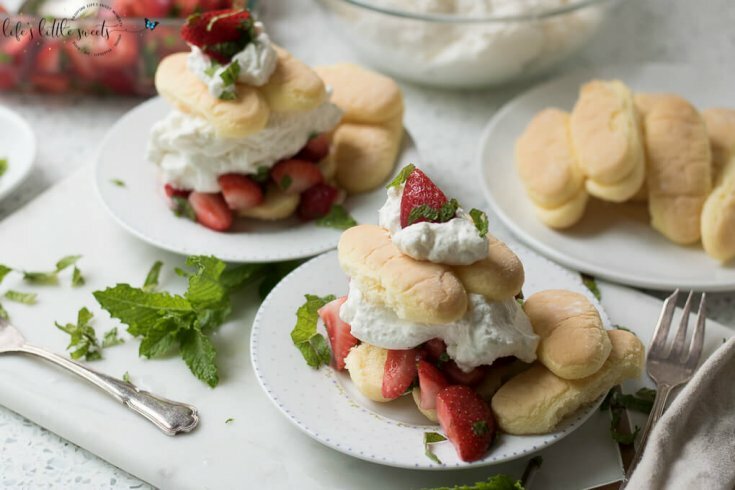 If you make this Strawberry Mint Shortcake with Ladyfingers, let me know what occasion you make it for in the comments below! 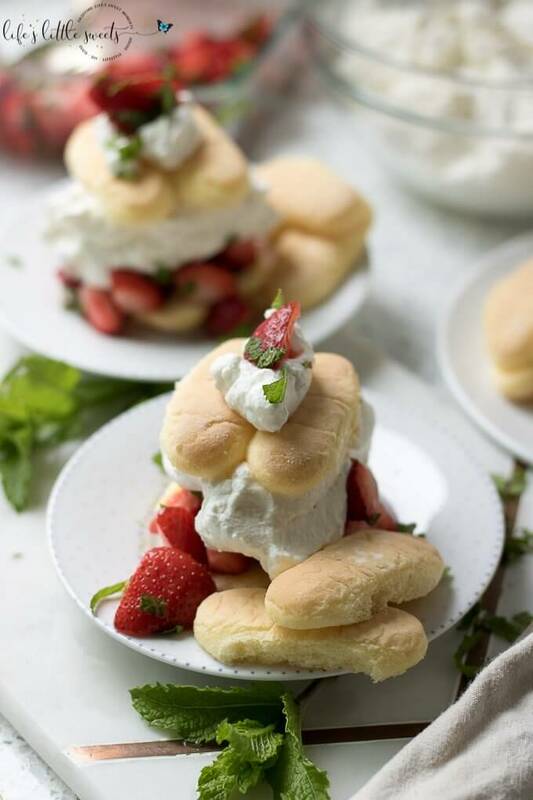 1 recipe Vanilla Whipped Cream, search LLS search bar "Vanilla Whipped Cream"